Home / How does a Power Bank work and which one should I buy? How does a Power Bank work and which Power Bank should I buy? Many people have one, or have heard the word "power bank" often enough. But what is it really? And how does a power bank work? It is also not entirely unimportant that you buy the right power bank. Below you will find all information about the power bank. 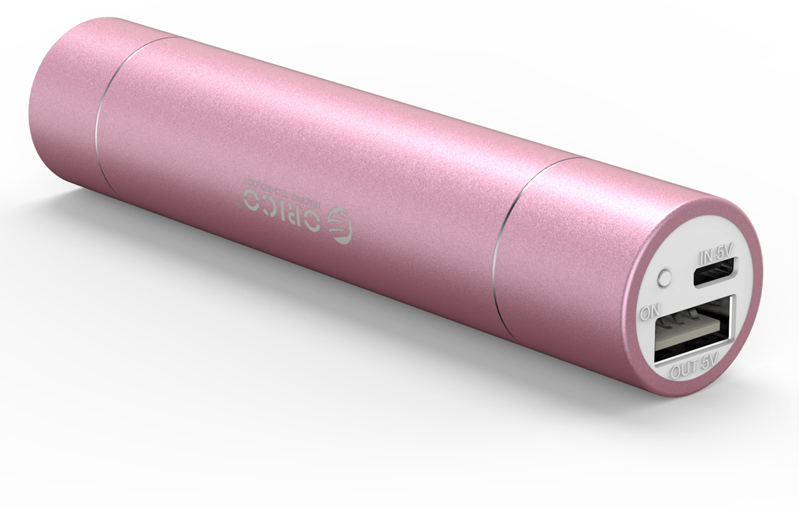 A power bank is a mobile (external) charger, which can be charged in advance. After the powerbank is charged, you can charge your smartphone, tablet or laptop. It is a handy product that allows you to charge your electrical appliances without an electrical outlet nearby. You can use it for example when traveling by train, bus or plane. But it is also a very useful application during a (multi-day) festival, on holiday or other occasions. How do you charge a power bank? You can charge a power bank using the supplied cable. This is in most cases a micro USB to USB Type-A cable. By connecting this cable to your home charger and plugging it into the socket, the power bank charges. There are also versions which need to be charged by means of the supplied power adapter. This is a power bank that is suitable for charging laptops. In addition to via USB or via a power adapter, you can also charge a single power bank with solar panels. Many power banks are equipped with a Li-Ion battery. However, there are now many power banks with a Lithium-Polymer (LiPo) battery. It is lighter in weight, more compact and is generally preferred over the Li-Ion battery. Can a power bank be charged quickly? In general, it takes quite a long time before a power bank is fully charged. This is because a power bank has a high battery capacity. How quickly a power bank is charged is at the output of an adapter. Most phone adapters have an output of about 1A. The adapters of tablets between 2A and 2.4A. With the tablet adapter and a corresponding charging cable that supports at least 2A, you can therefore charge your power bank faster than with a 1A adapter. You can best avoid USB ports from your laptop or computer. These often only deliver 0.5A to 0.9A, which makes charging the power bank extremely slow. There are many different power banks available. For example, they vary in size, mAh values, design, whether or not a Quick Charge, whether or not an LED indicator and other extras. Which power bank you need depends on what kind of device you want to charge. Everyone also has a personal preference for a color, size, or no LED indicator and other extras. Which power bank do I need? The mAh values ​​of power banks can be very different from each other. So you can already purchase one with a capacity of 1000mAh, but there are now also variants which have a capacity of up to 50,000mAh! To know how much mAh you need, it's good to know how much mAh your phone's battery has and how often you want to charge your device. If you know how much mAh your phone battery is, you can use a simple calculation to calculate how often you can charge your phone with the relevant power bank. You share the number of mAh of the power bank by the number of mAh of your phone. The iPhone 7 has a battery with a capacity of 1960mAh. If you buy a 10,000mAh power bank, you can recharge 10,000: 1960 = 5.1, so 5 times your iPhone 7. Do you have a Samsung Galaxy S7 with a battery capacity of 3000mAh and a powerbank with 20.000mAh? Then you can charge 20,000: 3000 = 6.6 times your phone with the relevant power bank. So first see how your battery capacity is, how often you want to charge your phone and then see which power bank with which capacity you need. What can you charge with a power bank? There are different devices to charge with various power banks. Above you have read how you find out which power bank you need when charging your phone. 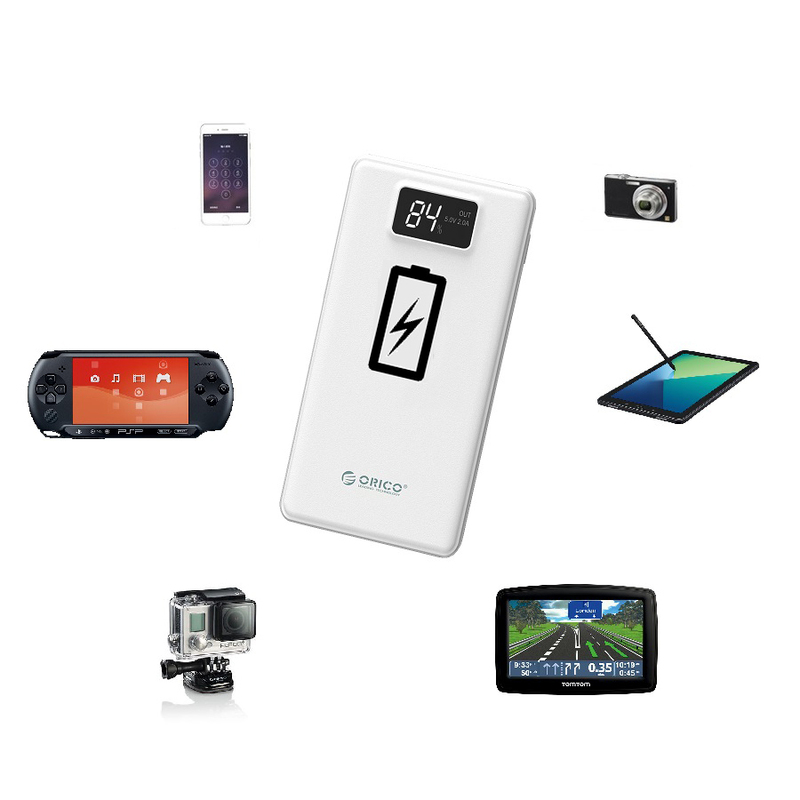 With a powerbank with a capacity up to 10,000mAh you can charge phones, a TomTom, Nintendo or PlayStation Portable. 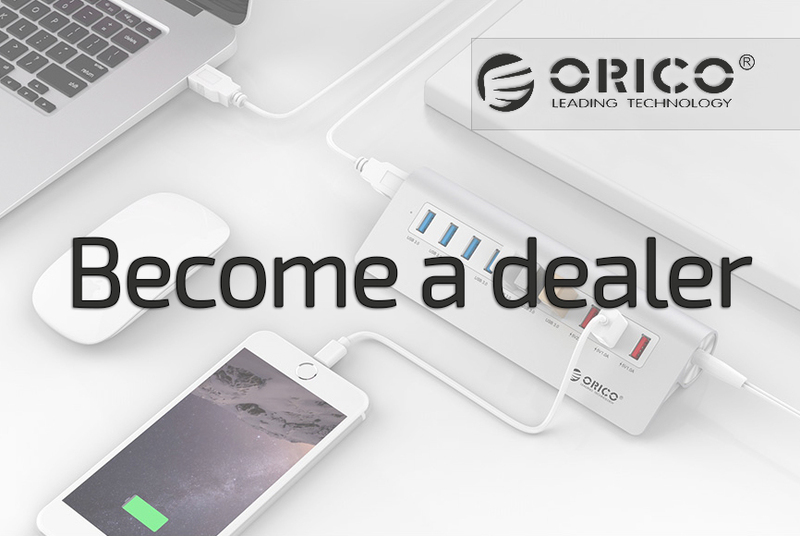 Which works very well for charging these devices, for example, is this Orico power bank . Do you want to charge a tablet? Then it is wise to purchase a power bank from a minimum of 10,000 mAh. A battery of a tablet is equipped with a higher capacity and so you need more mAh to fully charge this tablet. For example, use this Orico Powerbank 20,000mAh . If you want to charge a laptop, you will have to go for a variant with a capacity from 20,000mAh. It is best to choose a power bank especially for charging a laptop. Here are often also all accessories supplied, such as a power adapter, plug, plugs etc. For example, choose the Orico power bank 28800mAh. Do you have a telephone with the latest Type-C connection? Then this Type-C power bank is recommended. Tip 1: view the capacity of your device to be charged. Tip 2: Consider how often you want to charge this device and determine how much capacity (mAh) the power bank should have. Tip 3: Once you have found a power bank with the right capacity, you can look at the different designs of Orico's powerbanks. Which fits best in terms of appearance, price and extras? Tip 1: make sure your power bank is not lying somewhere too long. The best thing is to charge the powerbank when it is empty. Tip 2: with minimal use it is advisable to fully charge the power bank at least once every three months. Tip 3: use original cables for charging your smartphone, tablet or other devices. Tip 4: store the power bank as soon as you do not use it. Do not put it in a humid place and make sure it is somewhere where the temperature is constant. The best temperature to store a power bank is between 16 and 22 degrees. Watch out during your winter sport and do not put it in the sun.